A race for a holistic advisory system is on, albeit at the pace of the financial giants that have accumulated assets under management and have thousands of advisors using their tools and services. Morgan Stanley is less vocal than JP Morgan, Blackrock, Vanguard, Fidelity. What caught my attention in November is the “WealthDesk” rollout which is an integration of Morgan Stanley’s Goal Planning System, their investment screening dashboard and their portfolio construction tools. Empowering advisors to deliver a holistic service even though fees continue to be under pressure. Add on to that, the integration of the Blackrock Alladin risk management software into the WealthDesk platform. Alladin was previously only available for institutional investors. Now, advisors using the WealthDesk platform can perform scenario analysis for their clients and discuss alternative investment strategies with clients. Empowering advisors in this way, gives them a strong value-add headwind compared to competitors. Even though UBS has a partnership with Blackrock’s Alladin risk management system, it is not integrated in its advisory platform. It operates separately which makes it difficult for advisors to offer the same fast and customized service as the UBS MD of managed solutions can. Morgan Stanley’s platform shows how challenging it is to upgrade and integrate tools and services in a way that empowers the intermediaries and delivers a holistic service to the end client. The tools are there, the business models are not the problem. What is challenging is getting alignment internally for the optimal tech integration that will produce the X factor in customer service. Morgan Stanley’s experience of this journey, indicates that it may take others at their level 3-4 years to catchup on this holistic integration. 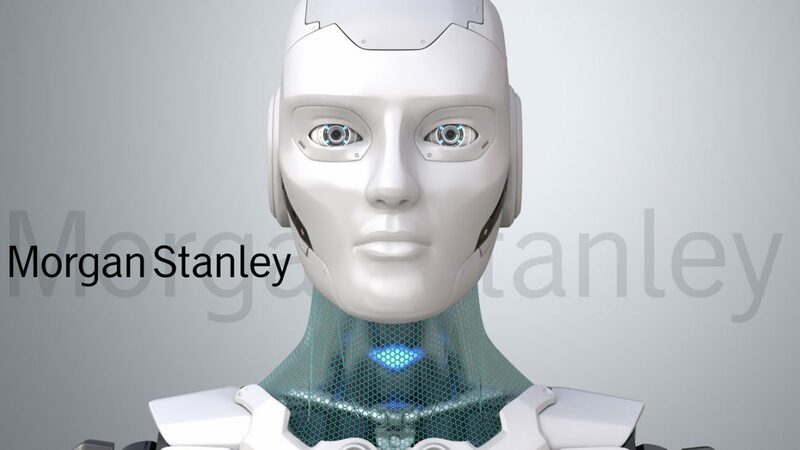 Morgan Stanley WealthDesk also integrates the new version of the so called “Next Best Action” Machine Learning system to their 16,000 RIA. This system has been around for several years but as a rule-based system suggesting investment options for advisors and their clients. A system that every single bank with a wealth management offering has and that we all as clients wonder which is “best” (as if that is the right question in the first place, since none of these rule-based systems could be customized). Morgan Stanley’s “Next Best Action” is using Machine Learning to support advisors in increasing engagement. The success of this tool will be measured by its effectiveness in enhance the dialogue with the client whether it is through in person meetings, phone calls or pure digital channels. Like me, most of us are sick and tired of emails with pdf attachments of several analysts covering Alibaba (that I care about accumulating) and not knowing how to make sense of that. All of us, are realizing that only because of KYC stringent requirements, advisors look to incorporate our life events and goals into an investment proposal. Morgan Stanley’s “Next Best Action” system is using ML to advice clients what to consider based on life-events. For example, a client had a child with a certain illness, the system could recommend the best local hospitals, schools, and financial strategies for dealing with the illness. The system monitors and learns from the reaction of the client to the “Recommendations” and based on the client responses, improves the quality of ideas each day. incorporate our life events and goals into an investment proposal. Morgan Stanley’s “Next Best Action” system is using ML to advice clients what to consider based on life-events. For example, a client had a child with a certain illness, the system could recommend the best local hospitals, schools, and financial strategies for dealing with the illness. The system monitors and learns from the reaction of the client to the “Recommendations” and based on the client responses, improves the quality of ideas each day. In a way, the system thinks for the advisor on a daily basis and presents relevant information and continuously improved recommendations. The advisor has a choice and can send customized emails and texts to clients. The system in a few seconds finds the clients’ asset allocation, tax situation, preferences and values. The system is empowering the advisor and this is where the potential of widespread adaptation lies. Never forget that tech adoption is always more of a cultural issue rather than a technical one. In machine learning, the more the system is used the better the next best actions are. If the community of the 16,000 Morgan Stanley advisors make the “Next Best Action” their ally, then MS will have an edge and a loyal army taking care of their clients. 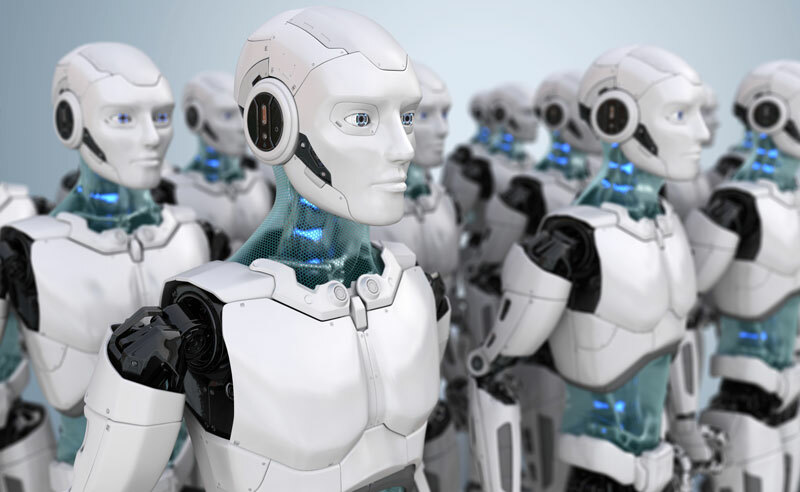 This not some version of robo-advisory focused on best on-boarding and low fee execution. It is enhancing a hybrid wealth management offering in a way that offers a cutting-edge (value) to those using Morgan Stanley as a platform provider (i.e. the advisors) and the end clients. Morgan Stanley has established its tech center in Montreal – Montreal Technology Centre. It has grown to 1200 tech employees focused in innovation in low-latency and electronic trading, cloud engineering, cybersecurity, AI/machine learning, and end-user technologies. Barron’s reports that it took MS about 6yrs to develop the “Next Best Action”. The main KPI is customer engagement. The other five variables monitored are: cash flow, brokerage business volume, new advice clients, the level of banking business, and account attrition.